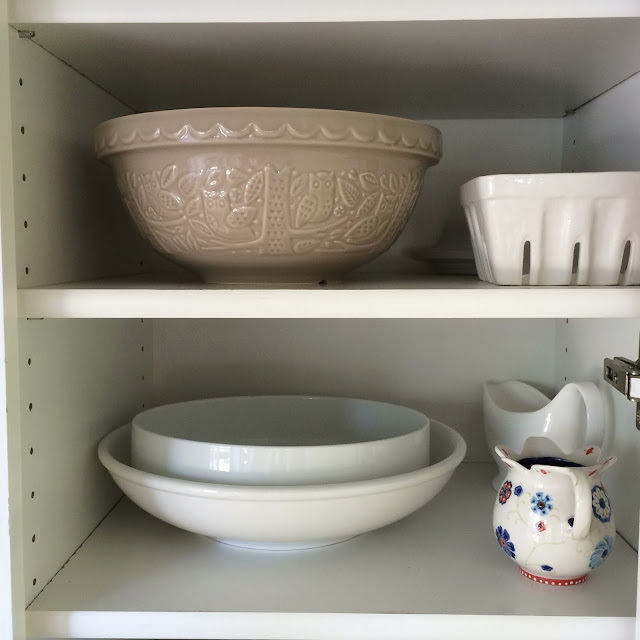 We recently had family visiting from England and in one afternoon, while making dinner, I managed to break both my vintage mixing bowl and a lovely white, wavy edged deep baking dish. I don't know what happened. It was just one of those afternoons. 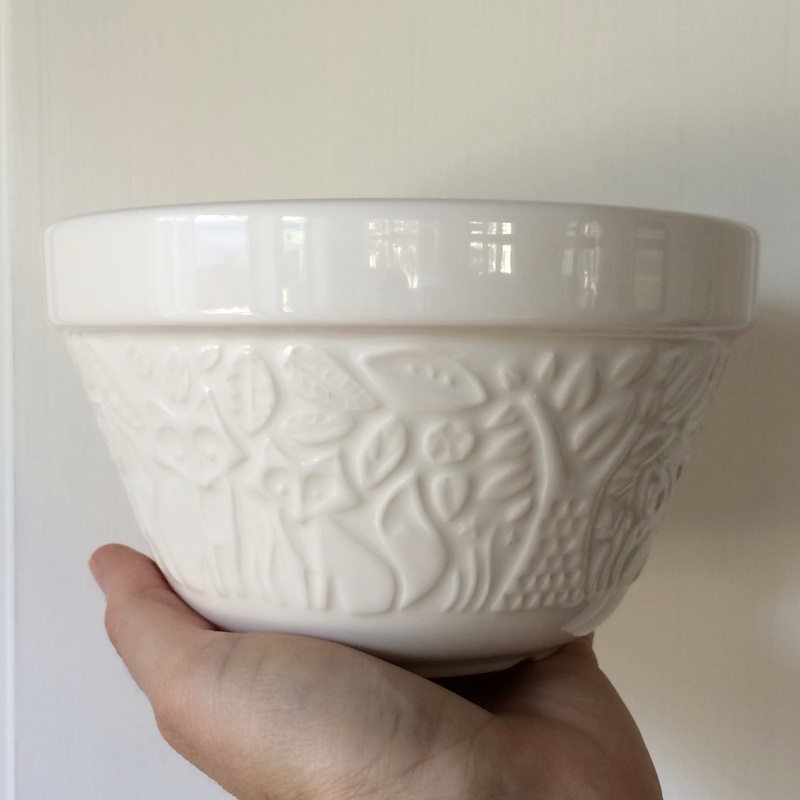 I was especially sad about my mixing bowl and I've been trying to remember when I got it. 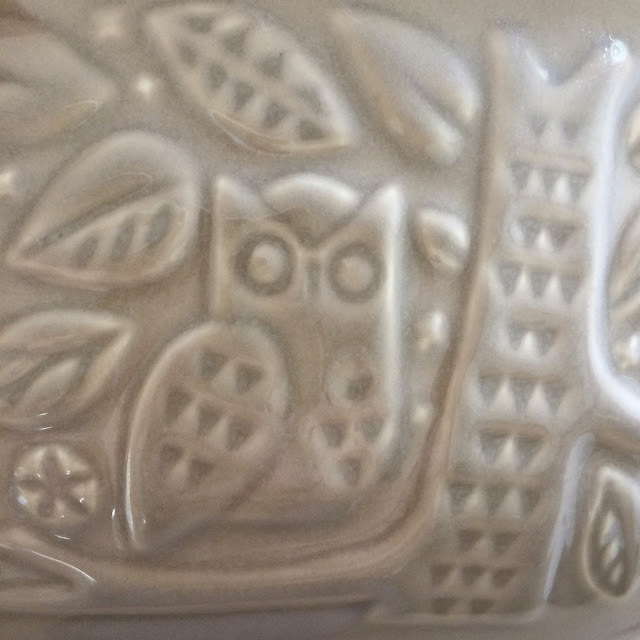 It was one of those tan colored Mason Cash bowls with the diamond design on the side. We will celebrate our 28th wedding anniversary this month and it was probably a wedding gift so I've definitely had it for a while! 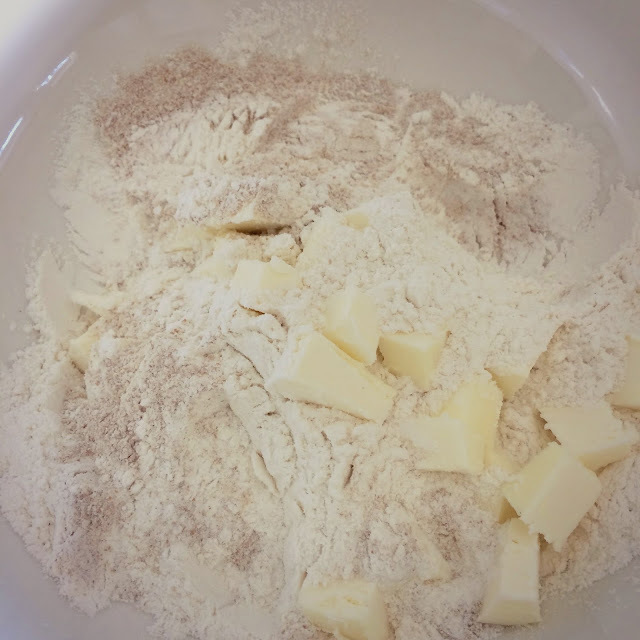 That bowl and I have shared many baking adventures. I bake a lot so this was something of a crisis for me. 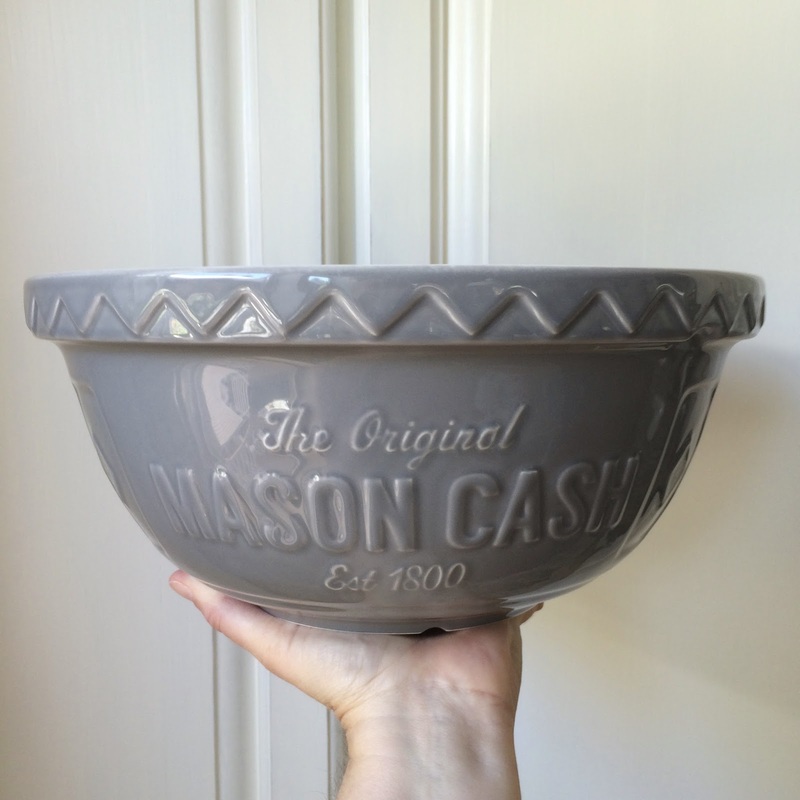 After doing some research, I found that Mason Cash still make that same bowl. Not only that but they make some seriously awesome new designs too. Hey I'm almost glad I broke that bowl otherwise I would have never have discovered these beauties. Best of all, they were all available on Amazon and with fast shipping. 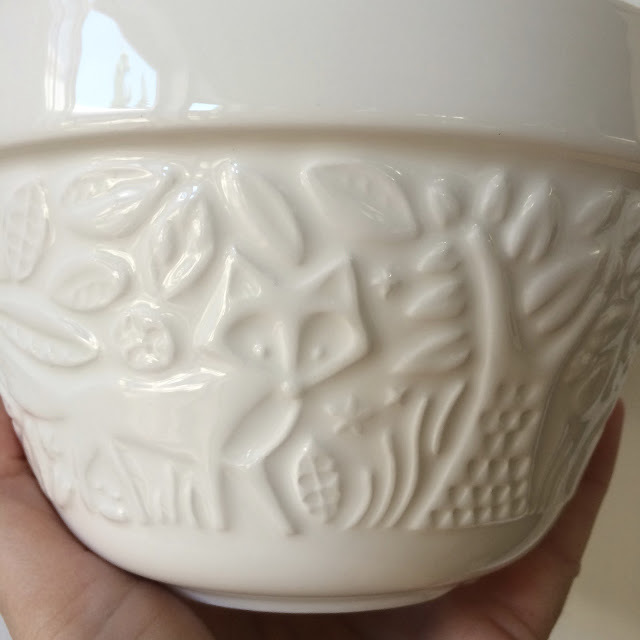 This bowl has the cutest owls sitting on branches! I love it! Just looking at it makes me want to bake something. This next bowl is a little larger and is a gorgeous shade of grey. Around the rest of the bowl is the traditional diamond pattern that my broken bowl had, I love that writing. This is a much smaller bowl, a pudding basin really except I never make steamed puddings or even Christmas puddings. Actually I've never had a pudding bowl till now.....so maybe I will try those things. Look at those little foxes - just too cute!